As we head into sunny days and long, bright evenings we are promoting an active, healthy lifestyle over the next few weeks with the help of our visiting PE expert, Melina from Munich University. 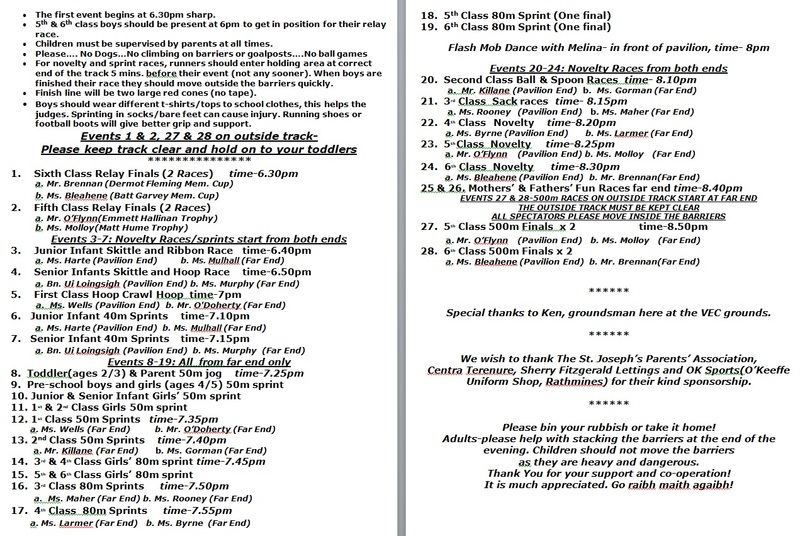 Sports evening (see provisional schedule) will be on Weds. May 23rd at 6.30pm in the VEC Grounds, Templeogue Rd. Other activities include Walk to School, Fyffes Fit Squad, tennis and cricket coaching, Yoga with Ms. Larmer, before-school athletics training for Santry, tag rugby, after-school hurling(senior and junior teams), Terenure College Gaelic football blitz and more. Photos will be added to this gallery.